Maintaining the health of your dog's teeth and gums is essential not only to your pet's continuing overall health, but also to avoiding potentially costly visits to the vet later on. Fortunately when it comes to dogs, their natural behaviors can be utilized to help provide them with constant, healthy dental care. 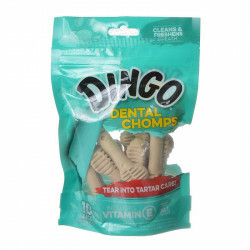 And of course, the biggest benefit to maintaining your dog's oral health is obvious: doggy kisses are much more enjoyable when you know the dog's mouth is clean! 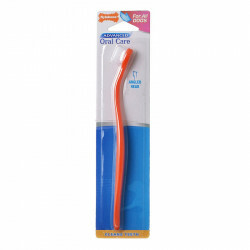 Pet Mountain's Dog Dental Care store features everything you need to provide your pet with complete oral health and hygeine. We carry top quality products from the most trusted names in pet care, including Nylabone, Petrodex, PetzLife, Nutri-Vet, Vet's Best and more. Nylabone Dental Chew Bones are designed to reduce the incidence of periodontal disease in dogs by massaging gums and scraping and cleaning teeth of food particles and tartar. 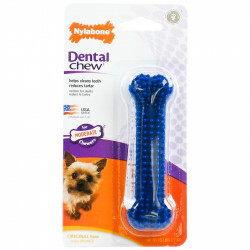 These durable Dental Chew Bones take advantage of your dog's natural chewing instinct to provide him with fresher breath and a cleaner mouth. 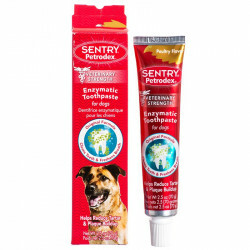 Petrodex Enzymatic Toothpaste for Dogs features a poultry flavor dogs love, does not foam and requires no rinsing. This tough toothpaste helps control plaque and fights bad breath. Dry food and chew toys help clean some of your pet's teeth, but they don't replace brushing at the gumline where most dental problems begin. Introducing your pet to brushing is not at all difficult. It only takes a few minutes a day and can add years to your pet's life. Nylabone Liquid Tartar Remover is made with Denta-C, which is scientifically proven to reduce plaque that harbors bacteria. 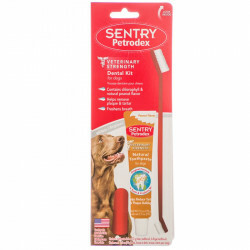 This easy-to-use formula alters the pH level of your dog's saliva to control tartar production and fight against bad doggy breath. Just add regularly to your dog's drinking water for the tartar removing, teeth cleaning, breath freshening benefits to take effect! At Pet Mountain, we know that your pet is one of the most important things in your life. How? Because ours are too! Your pet deserves to have the very best the industry has to offer, and we are committed to making sure you have it at crazy low prices. Providing you with the very best supplies for your dog, cat, reptile, bird or small critter is our privilege. Keeping a pet should be fun - let us help you keep it that way!